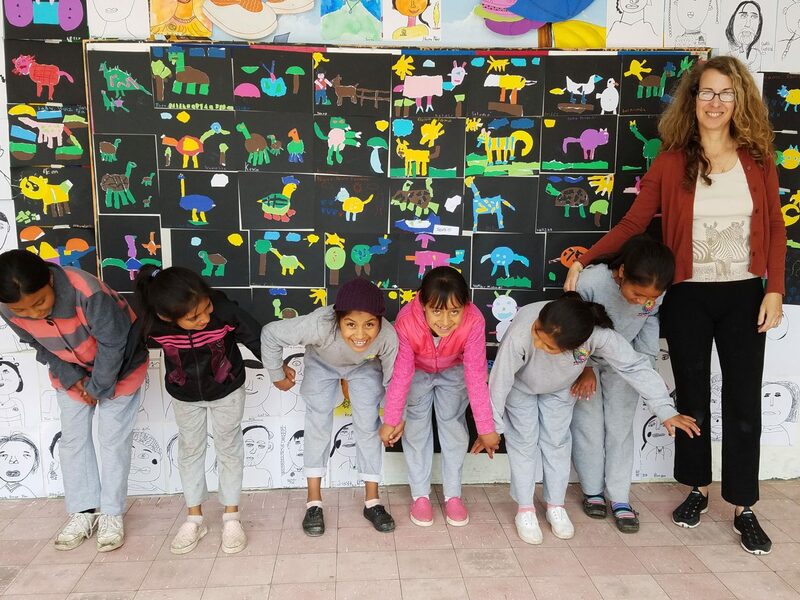 It is with great pleasure and enthusiasm that we are returning in February 2019 for 1 week to do another art project with the children in both Guillermo Garcon Ubidia Schools. This year will be a totally new experience in that we are coming during the week that the children are on school break. We will be providing a week of art education, dance education and an expansive recess with various outdoor activities ranging from soccer, frisbee, and sidewalk chalk, to jump rope and cat’s cradle. I believe this will be a very exciting, fun filled week for the children from the lower school (1 to 4) and the children from the middle school (5 to 7). In addition we will be bringing 2 pairs of art teachers (Wendy, Nora, Elaine and Ruth) from the US to offer various opportunities to work with a wide array for materials and mediums. We cannot wait to see the exhibition at the end of the week! We will also have a dance instructor (Angel) from Ecuador teaching the children traditional folk dances of Ecuador. We are looking forward to the final performances of the week’s worth of classes. The gift we are providing to the middle school this year is the set up by an IT specialist (Lonnie) of a full computer room with laptop computers for approximately 18 children to work together and learn how to navigate the web. 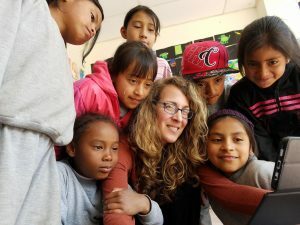 It will be a delight to see them all learning and possibly open up the opportunity to communicate with the children from the schools our US teachers work within and create an online community for sharing the worlds of north and south America. So much to be gained that can bring our worlds a little closer together. We wish to thank all who have donated computers and who have provided various art donations as well. It is greatly appreciated and will be utilized with joy. We are also grateful to the educators who are taking their vacation time in Ecuador to teach for another week. We couldn’t do this without you. Pictures will follow on our Instagram page of the fun and the work of that week in February (18 -22). Keep your eyes on us as we begin our adventure for 2019.